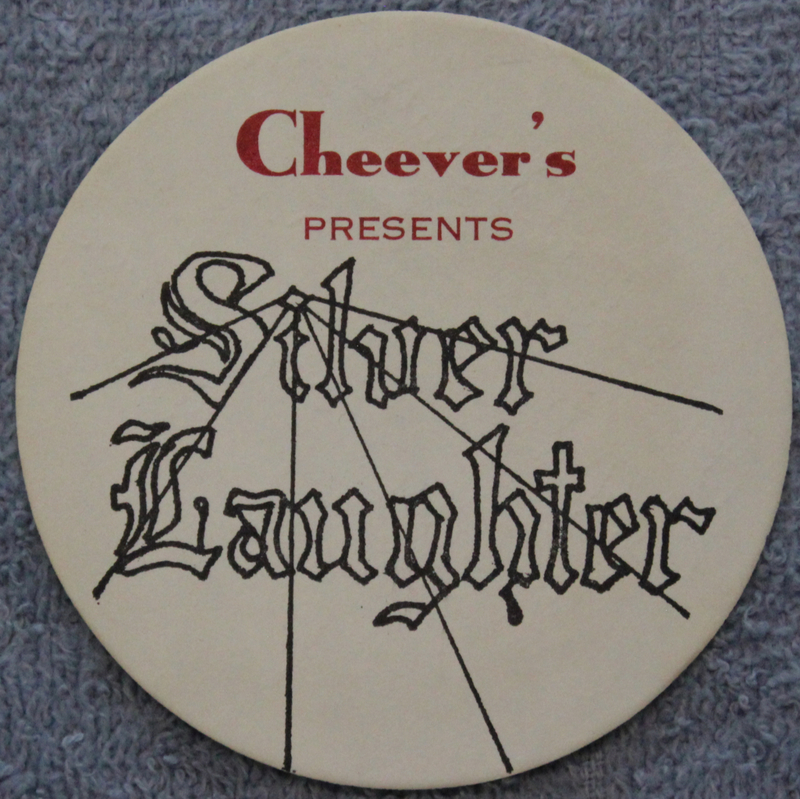 Home › Memorabilia › Silver Laughter Coasters? You Bet! Here is another example of how Silver Laughter promoted itself. I do believe that this old logo is a clue that these were printed by John Ludtke, Sr. The band would put these out for people to put their drinks on and, at the same time, promote Silver Laughter.